If you ever weren't overweight as an adult, use that weight as your lean body mass weight. Otherwise, use these body fat pictures to determine your body fat percentage, then multiply your current weight times the percent body fat. Subtract that amount from your current weight to get your lean body mass weight. Remember, protein and fat are guidelines. What's critical is to keep carbohydrates below 20g per day. As you transition from a standard American diet, you will likely feel lethargic for a week. This is called the keto flu. It will pass, and you'll feel better than you did before. If you're an athelete, you'll definitely experience a performance drop. It might take two months before you're back to normal. After that, your performance will be better than before. This is a life-long change, not a diet. You will do better some weeks than others. The health benefits cannot be underestimated. 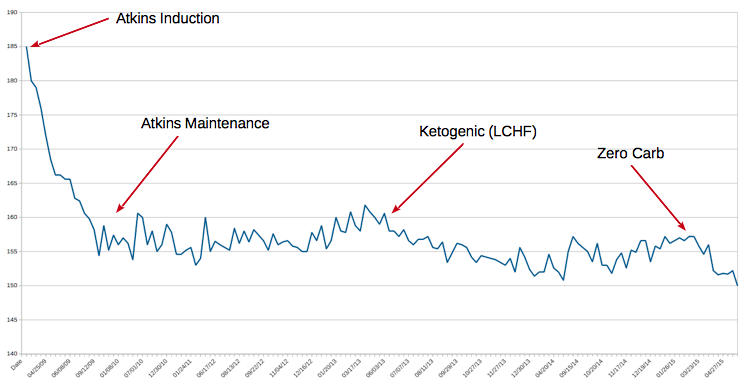 Ketosis – Advantaged or Misunderstood State? Low-Carb, High-Fat Is What We Physicians Eat. You Should, Too.